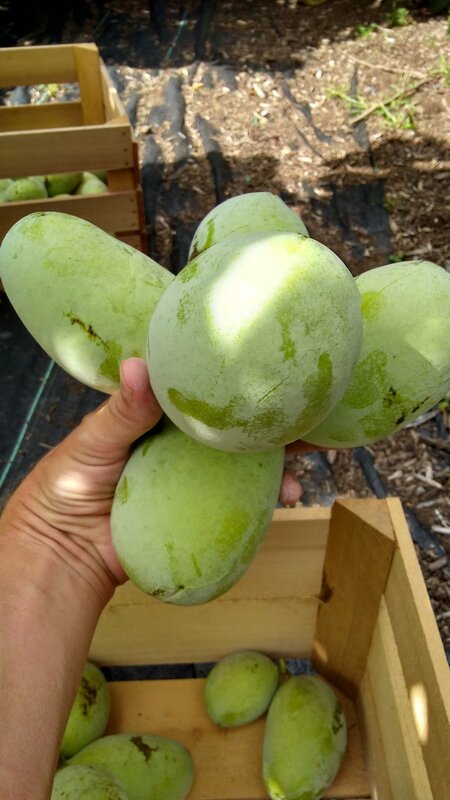 Learn about the different fruits we grow on the farm including what they taste like, how we package them, and when they’re available to purchase. Interested in wholesale? Inquire about wholesale quantities. Approximate ripening for our fruits. May vary season-to-season by several weeks depending on weather. One of the first of our brambles to ripen. These are one of our favorite summer berries and are great for eating fresh or in pies and make an excellent jam. They have a unique flavor not found in our other berries. 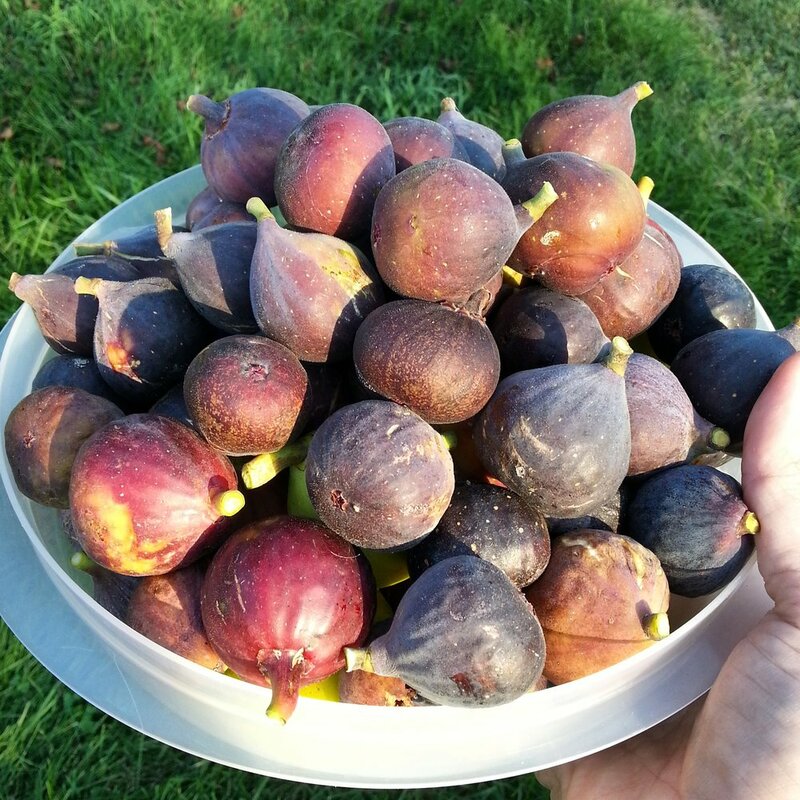 Perhaps our most famous specialty crop, we grow delicious figs that are hardy and ripen in our area. Flavors range from berry to honey and colors from green to violet to almost black. North America's largest native fruit. Tropically-related. Tastes like a cross between a banana and a mango with a custard-like texture. Delicious on its own, in ice cream, or in baked desserts. We grow only cultivated varieties which tend to be higher yielding and produce delicious fruits with a high pulp to seed ratio. Peterson cultivars, KSU cultivars, PA Golden, Sunflower, NC-1. A grape-sized cousin of the familiar fuzzy kiwi fruit, this hardy relative bears a fuzz-less and much sweeter fruit with the same kiwi flavor. You can eat this fruit skin and all. This beautiful orange to red fruit is one of the most popular in the world. We grow some varieties that are ripe when hard (non-astringent) and others that need to soften (astringent). Both are very sweet and our one of our favorites when they ripen later in the season.